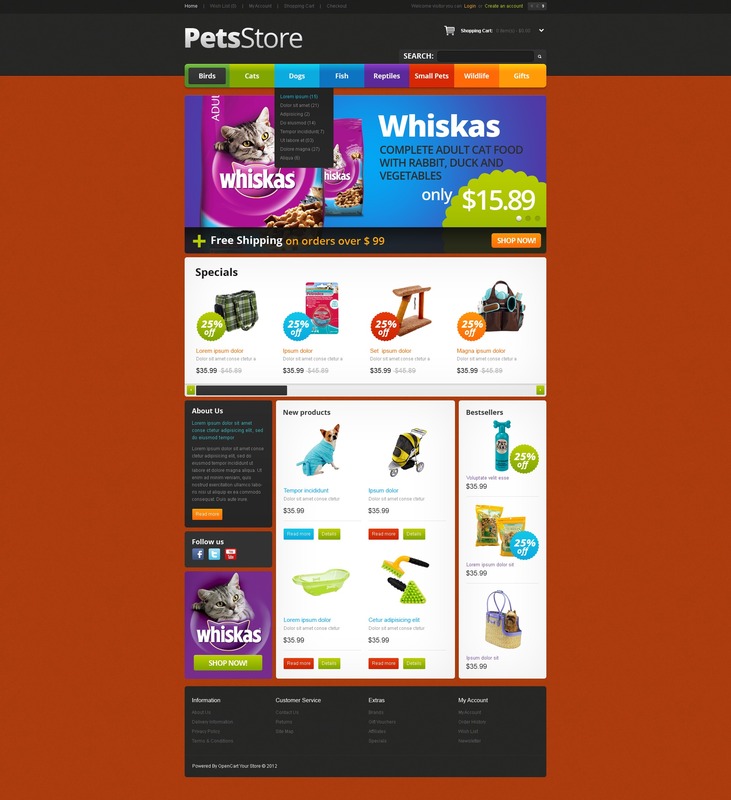 Increase customers' pool with snazzy design of this pets store possessing bright drop down rainbow menu and brick colored background. Special products are shown in a slider with scrolling navigation for better clients' appeal. Footer area and sidebar are widgetized. The sidebar is supplied with bestsellers images, a great possibility to promote your products.